IRDIS’ collaborative and comparative research initiatives will encourage regional, national and international research workers and scholars from within and outside the ethnic communities to hold discourses, share research material, and to participate in symposia and discussions on topics of indigeneity, while also encouraging scholarly exchange programs. 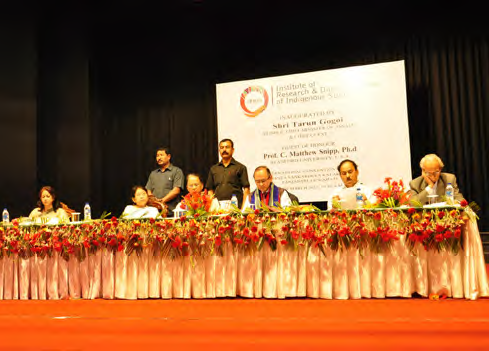 This will benefit ethnic people by empowering the communities with knowledge and a deeper understanding of the shared interests and the common challenges confronting ethnic communities regionally, nationally and around the world.IRDIS in partnership with other centers, institutions and organizations committed to indigenous studies endeavour to develop a global comparative and collaborative research network in the study of the indigenous and ethnic people within the State of Assam, nationally and around the world to gain a broad global perspective about the similarities and differences shared by Native people in their native nation-states. In short such an endeavour would lead to a new aspect of globalization—the globalization of the Native people of the world. Memorandum of Understanding between IRDIS the Institute of Research and Documentation of Indigenous Studies (IRDIS), Assam, India and the Center for Comparative Studies on Race and Ethnicity (CCSRE), Native American Studies (NAS), a program within CCSRE, and the Woods Institute for the Environment (WIE) at Stanford University, California, USA. 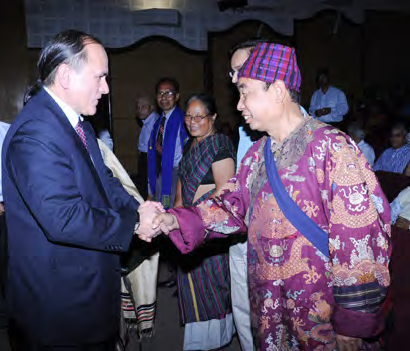 Based on the MoU, IRDIS and CCSRE AND WIE work in partnership to promote and develop cooperation in a number of activities on the ethnic and native people of India and the United States such as : exchange of faculty members, research members, research fellows ,scholars, academic materials, publications and information about native people in India and/or the United States; collaborative research projects and symposia focused on native people in India and/or the United States; jointly develop networks with other organizations devoted to research and teaching about native people in India, the United States and elsewhere in the world. A Memorandum of Understanding was signed between IRDIS and Assam Institute of Research for Tribals and Scheduled Castes (AIRTSC) on 3rd April 2013. Based on the MoU collaborative research projects, seminars. discourses, workshops, and capacity building initiatives are jointly carried out by both the Institutes on the diverse ethnic communities in the State of Assam and in the rest of Northeast India.